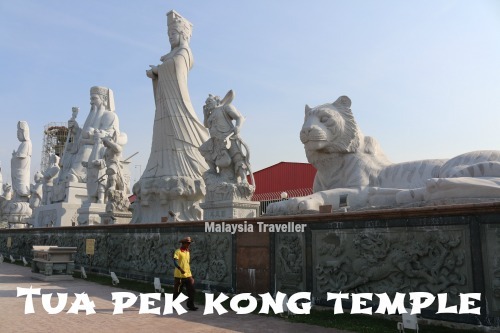 There are a number of Tua Pek Kong Temples dotted around Malaysia (and Singapore). 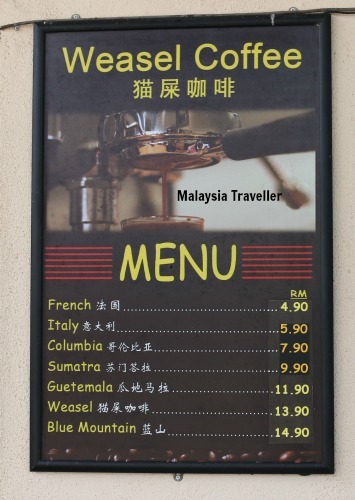 This one, also spelt Da Pek Gong, is located in the Manjung district of Perak, not far from Sitiawan and Lumut. 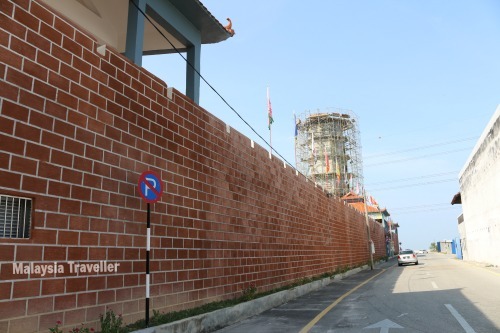 It is thought to be over 100 years old but has undergone rapid changes in recent years, with the addition of more statues, a dragon tunnel, surrounding walls and a pagoda (under construction). Its obvious wealth is said to be the result of donation from lottery winners who may have prayed for lottery success and lucky numbers at the temple. 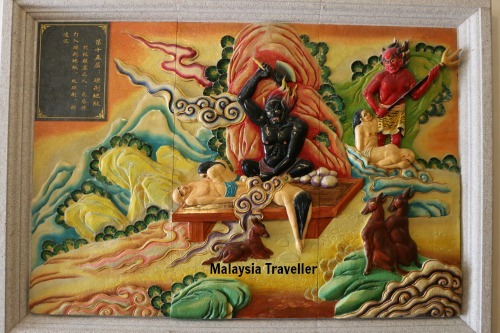 Looking out to sea over the Straits of Malacca is a row of giant white stone statues including a seated Tua Pek Kong himself, flanked by Guan Yin, other deities, tigers, lions and monkeys. The compound is surrounded by a castellated high wall and visitors can walk around on the ramparts. 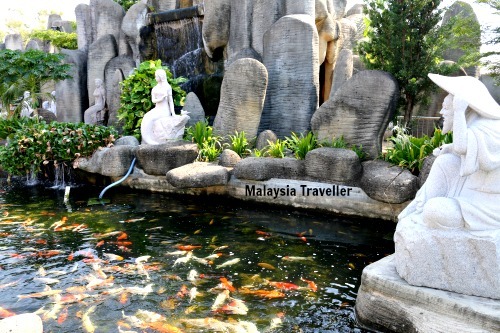 There is an attractive landscaped garden with koi ponds, artificial rocks and more statues. A large seated Maitreya Buddha statue occupies pride of place in the centre of the temple. 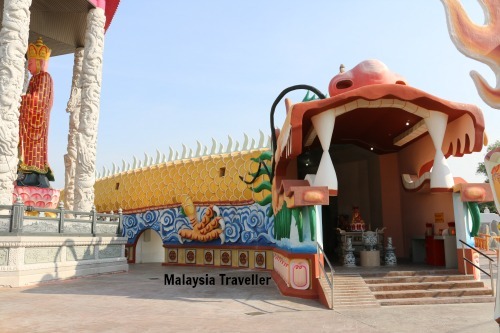 There is a tunnel shaped like a dragon which you can walk inside through its mouth. The interior walls are lined with panels illustrating scenes from The Ten Chambers of Hell, warning sinners of the gruesome fate which awaits them in the next world. Construction work is still continuing with a pagoda and new entrance gates to be opened soon. The temple’s courtyard contains restaurants and food stalls, a snack and souvenir shop, a weasel coffee cafe and even a foot reflexology parlour. Like most temples there are no formal opening hours and with restaurants on site it should be open from dawn until late in the evening. There is no entrance fee although donations are most welcome. On Google Maps, the temple is also spelt Da Bek Gong. There is a free car park for temple goers in front of the temple. To see availability of nearby hotels at discounted rates, please click on the Agoda form below.